Arrival at the airport & transfer to the hotel with the assistance from the representatives of the company. The earliest known capital city of Indraprastha was founded by the Pandavas in c1450BC. Maya, the Danava architect built a splendid palace and court for them. Recent finds support the view that it was located in the Purana Qila area. There are various views as to how Delhi, the capital of Indian Subcontinent, derived its name. It may have come from Raja Dillu's Dilli, c100BC, which was sited just east of Lalkot, or from Dhilba founded by the Tomar Rajputs in c736AD. And some say it came from the medieval town of Dhillika located near present date Mehrauli. Other cities recorded are Surajpal's Surajkund c1024 AD, Qila Lal Kot c1024 AD which was built by Anangpal and Qila Rai Pithora c1170 AD of the brave and daring king Prithviraj Chauhan. In the same area Qutb-ud-din-Aibak built his citadel and the Qutb Minar in the year 1199. He completed 3 storeys and his son-in-law Iltutmish, added the fourth. It was damaged by lightning in the years 1326 & 1366. Firoz Shah Tughlaq repaired the damage and added the fifth storey. It stands 72 metres high. Full day tour of Old & New Delhi.Old delhi consist of places of historic interest like the Red fort, Jama masjid,Qutab minar etc.And New Delhi has a lot places that show off their latest trends and fashion and also there are places that are the most appropriate for entertainment and fun. At a short distance of 11 kms . from Jaipur, the Amer Fort complex stands amidst wooded hills overlooking the Delhi-Jaipur highway, with its forbidding ramparts reflected in the still waters of the Maota Lake below. Here are the private chambers of the queens with windows having latticed screens so that the ladies could watch the proceedings of the royal court inprivacy. There is also the Jai Mandir or the "Temple of Vicotry", with its famed Sheesh Mahal, the scintillating "Hall of Mirrors". 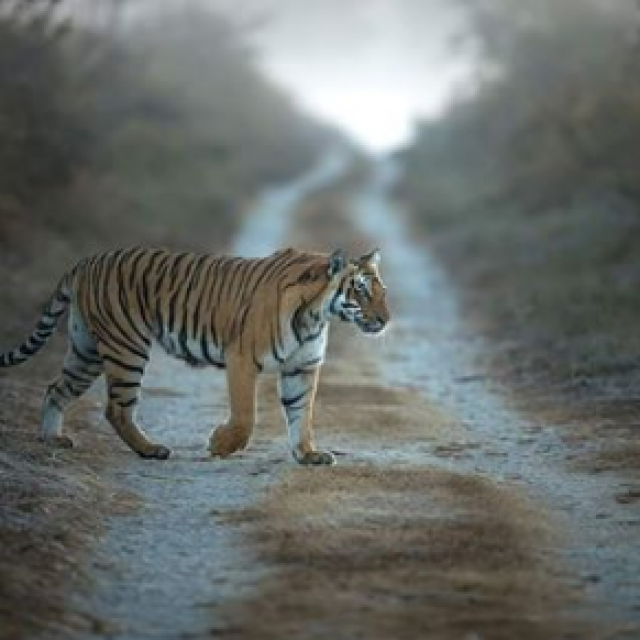 A journey into the Ranthambore (also known as Ranthambhore) Sanctuary is an elating experience especially if you are lucky enough to sight the Big Cat. The greatest pulling factor about Ranthambore is the Tiger. The big cat is totally nonchalant about staring humans and there have been enough wildlife movies shot in the place to advertise the fact. But tigers have their moments of privacy and these seem to outweigh those moments when they don't mind being watched. 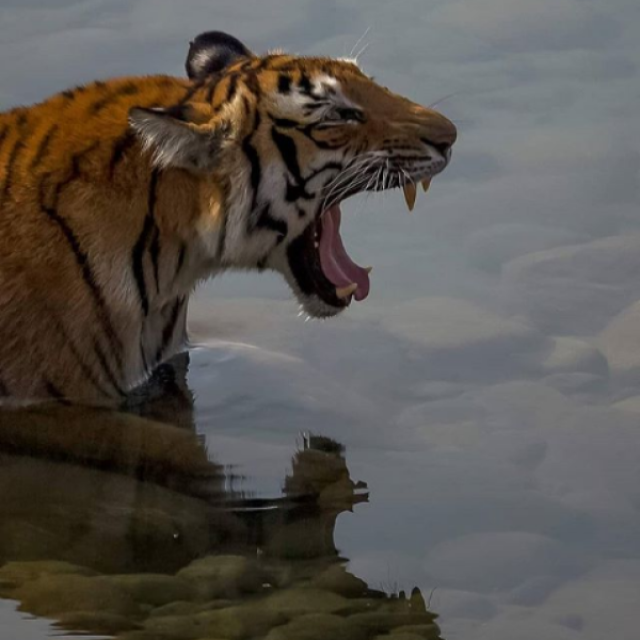 Ranthambore was among one of the very first sanctuaries to come under the aegis of Project Tiger and from a few dozens the number of tigers have increased to a little over a hundred. Now a national park, it has an area of over 400 square kilometers. Most of the big cats are so secure and protected that they can be seen hunting during the day particularly around the two lakes. Day 7: Ranthambore - Bharatpur 225 kms. Day 8: Bharatpur - Agra 50 kms. The imperial city of the Mughal dynasty between 1571 and 1584, Fatehpur Sikri was built by Mughal Emperor Akbar. The architectural grandeur of this deserted city cannot be described in words and one can only experience the aura of its magnificent edifices by seeing them. Fatehpur Sikri is the most popular day excursion from Agra, the city of Taj and capital of invincible Mughals for a long time. Fatehpur Sikri is located only 40 km from Agra city. Overnight at Hotel Taj view. Morning proceed on a tour of the city visiting Visit the Agra Fort, built by three Mughal Emperors starting from Akbar the Great in 1565 AD, which is a masterpiece of design and construction. Within the fort are a number of exquisite buildings including the Moti Masjid, Jahangir's Palace, Khas Mahal and the Sheesh Mahal, Diwane-i-Am, Diwane-i-Khas and Musamman Burj, where Emperor Shah Jahan, the fifth Mughal Emperor, died a prisoner. Visit the Taj Mahal - the inimitable poem in white marble. Built over a period of 22 years, by the Mughal Emperor Shah Jahan in 1630, for his Queen Mumtaz Mahal to enshrine her mortal remains, it is one of the seven modern wonders of the World. [The Taj is closed on Fridays] . Afternoon drive to Lucknow ( 368K.M 8 hours) . Overnight at Hotel Taj Rasidencey. Your holidays can never be lovelier than those spent in Lucknow. The capital city of Uttar Pradesh that is situated on the banks of the Gomti River, has been renowned for its silks, perfumes, jewelry, mouth-watering cuisines, and nawabi etiquettes since ages. The various architectural wonders in Lucknow are absolute must visits for the tourists. The massive monument Bada Imambada is a major landmark in Lucknow. It has the famous maze bhul bhulaiya that is not easy to get through. Then there is the soaring edifice of the Rumi Darwaza whose beauty and splendor will sweep you off your feet. Lucknow also boasts of the Husainabad Imambada that is often referred to as the Chhota Imambada. Muharram is the best time to visit the Imambada when the lighting adds to the beauty of the historical monument. Even the months of November/December make up a nice option when Lucknow celebrates the Lucknow Mahotsav and is at its cultural best. The festive spirit is revealed in the plays, classical and semi classical music and dance recitals, kite flying and Tonga races that are enjoyed during the 10-day long celebrations. For those of you who would like to know the history of Lucknow better a visit to the 19th century picture gallery is a must. There are a number of portraits of almost all the Nawabs of Lucknow. Even the local zoo of Lucknow Banarsi Bagh is worth visiting. Itar or flower essence extracted from scented flowers and the Chikan or traditional hand-woven embroidered cloths are the must buys from Lucknow. Overnight at hotel. Day 11 : Lucknow To Dudhwa Lucknow - 238 km. After breakfast drive to Dudhwa National Park En route to Dudhwa, the unique Frog Temple at Oyal can also be visited. The only one of its kind in India, it was built by the former Maharajas of the Oyal state in the district of Lakhimpur-Kheri. Dedicated to Lord Shiva, the base of the stone temple is built in the shape of a large frog. The temple is at a distance of 10 km from Hargaon on the route to Lakhimpur-Kheri and Dudhwa. The Dudhwa Tiger Reserve in the Lakhimpur-Kheri district of Uttar Pradesh is one of the finest examples of the exceedingly diverse and productive Terai eco-systems. 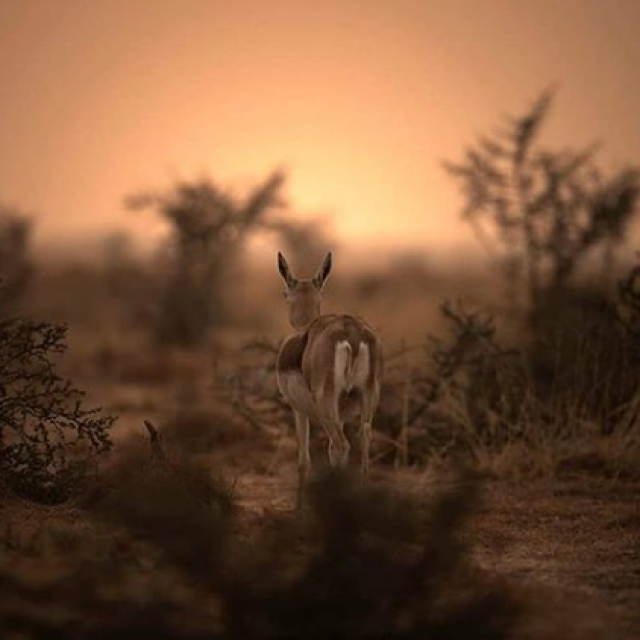 The reserve has an area of 614 sq km. The northern edge of the reserve lies along the Indo-Nepal border while the southern boundary is marked by the river Suheli. It is home to a large number of rare and endangered species, which include tiger, leopard, swamp deer, hispid hare, Bengal floricans, etc. Enjoy full day of jungle activities. The grasslands of the reserve are the habitat of the largest kind of Indian deer-the swamp deer or the Barasingha, called thus because of their magnificent antlers (bara-twelve; singha-antler). Decline in their habitats led to a drastic decline in numbers and a small area named Sonaripur Sanctuary was set aside in 1958 for the conservation of this rare species of deer. Later, it was upgraded to cover an area of 212 sq km and was renamed the Dudhwa Sanctuary. In 1977, the area was further extended to include over 614 sq km and was declared a national park. 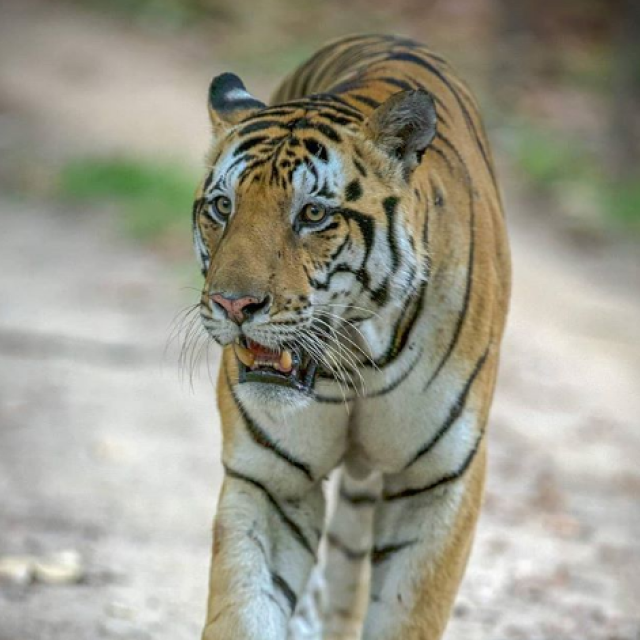 Eleven years later, in 1988, when Dudhwa became a part of Project Tiger, the area of the Kishanpur Sanctuary was added to create the Dudhwa Tiger Reserve. It was here in 1984 that a major rhinoceros rehabilitation project was started since these forests had been the habitat of the rhinoceros 150 years ago. Five rhinos were relocated from Assam but two of the females died due to the strains of transportation. These were replaced in 1985 by four more females from Nepal. Morning after breakfast travel by car to Lucknow (238 kilometres, approximately 5 hours driving distance) to board your flight to New Delhi. Leave Delhi for Abroad. Leave Delhi for Abroad.